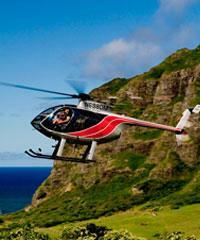 Sightseeing tours on the Big Island of Hawaii cover vast swaths of territory and provide a tremendous amount to see. 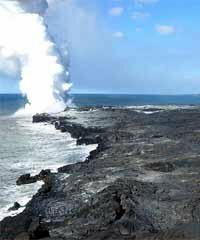 The Big Island is the largest of the Hawaiian Islands and requires approximately three hours or more in driving time to get from one side of the island to the other. 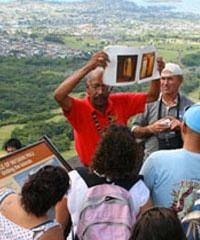 As a result, many of the sightseeing tours that you will find here are an all-day affair. 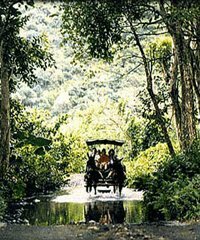 The driving time will be worth its while however as your tour will take you to places that are likely unique to your previous experience. When was the last time you saw flowing lava, how about snow on the top of an island in the tropics or when was the last time you saw an Akiapolaau bird deep inside a national wildlife refuge? 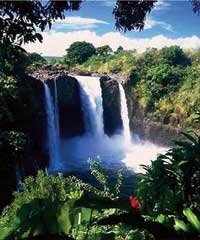 The variety of places to visit on the Big Island is astounding and many of the tours offered are available at discounted pricing. See the sunrise from the top of the tallest volcano on Earth. Visit a coffee farm and see where the world famous Kona Coffee is grown. 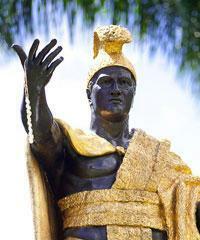 Visit the Kohala region on the North coast which was home to Kamehameha 1st. 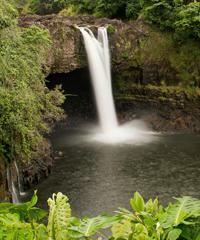 Explore the rich heritage of Hilo and its lush green landscape. View the live volcano at sunset. Visit four national park sites in one day. 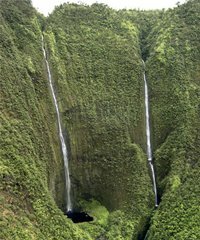 Take an hour and a half tour into the spectacular Waipio Valley. Visit a protected bird habitat and catch a glimpse of many endangered species. 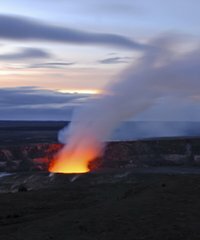 Enjoy a tour into Volcanoes National Park after dark. Take a guided jeep tour on a 'lava crawl'. Go to the magnificent Big Island Green Sand Beach. 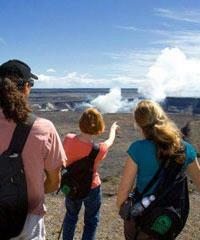 The Big Island is is a sightseer's paradise. 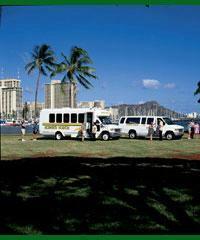 There is so much to see on the big island, and we have so many tours that will take you there. Let's take a picture, or take a look at the island in general. 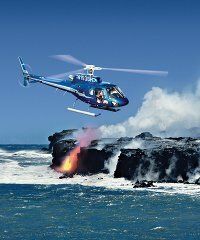 Here's the Big Island, and we have a number of different tours that are available to you, but by far the vast majority of tours that are gonna be available to you that you'd want to take are gonna be in the national park area, the Hawaii Volcanoes National Park. This is one of the most amazing places you will find in Hawaii or really anywhere else. When you go visit there, you'll see all sorts of calderas, and steam vents, and you'll see lava tubes, there's a giant ... The Thurston lava tube that you can just kind of walk through. 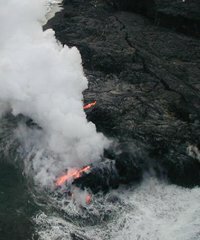 There is often lava that you can actually see, live lava. This is not an every day occurrence, it depends on what's happening with the volcanic activity during the time of day that you're there. The lava happens really, it's kind of yearly events, and it happens over decades. So, for a long period of time, you may have a lot of lava happening, and then it'll cease, or it'll be further up the mountain. You'll be able to see ... 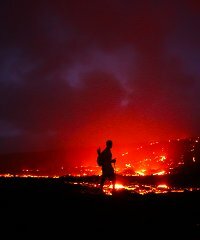 In the evenings, we have tours that you see the glow of the lava. Depending on where the lava is, you might be able to get right up to it. The lava flow has been going on in Kilauea, this area, since the early '80s, and it has changed over the course of time what it's been doing, but it tends to come out of the, the lava is emitted from the cracks in the earth and it rolls down hill, down toward the ocean in lava tubes or in big flows. It's actually covered a lot of towns and areas that were populated and now there's just lava that goes over the top. These occurrences happen over a period of many years. The tours we have there will be different depending on when it is that you're showing up and going to visit these locations, but we have many tours that will take you here. 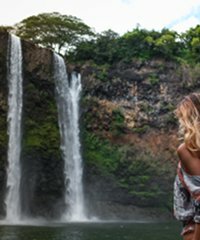 Tours that'll pick you up in Kona, drive you all the way over there, these are full day without a question, and then bring you back. 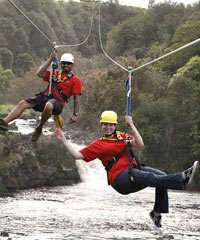 Tours that'll take you from Hilo. Tours that're in large buses, tours that're in vans, we have tours that involve bicycles that you can get off and cruise around the park and so on. It's one of the things that you would definitely want to see. You can do this on your own, I'm not suggesting that you have to take a tour. You can take a car out there and walk around, visit the Jaggar Museum, Halemaumau. If you're taking a tour, you're really not going to be missing the important things, and also, you're not going to be missing the specifics about the details and the geology, the geography, and everything else that has to do with the volcanoes. It's probably preferable, if you want to learn the most, to go with the appropriate tour for you. There's many, many, many that we have. This is not the only aspect of what we've got going on here on the island. 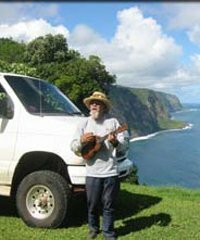 We have tours that take you up the Hamakua coastline, which is so lush, and verdant, and beautiful, and take you up to Waipi'o, the beautiful valley that we have up here that was inhabited centuries ago by the Hawaiians and provided everything that they needed to live and to sustain life. You can visit that. We have tours that'll take you down to the Green Sand Beach, one of only two that exist in the world, and one on the Galapagos Islands. The olivine is what makes it green, you'll be able to see that. We have black sand beaches over on this side of the island that you'll be able to see. We also have tours that will take you to areas that we have in the center of the island where you'll be able to do bird watching. These are some of the most exciting, truly, trips that we have. Long days, gets you really into the outback and observing some of the beautiful, natural, endemic species of birds that we have in Hawaii. Those are available to you. 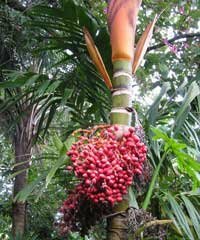 We also have, in this area down here, we also have coffee tour, tours that'll take you though the Kona ... famous Kona coffee, right? 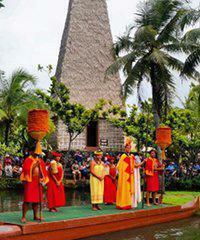 Get a chance to see how that is all made, just south of Captain Cook and Kealakekua, that area. 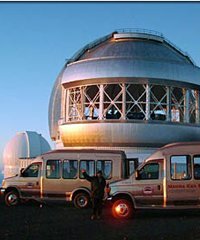 One of the most really memorable of the trips that we have on the Big Island are the trips that take you up to Mauna Kea. That's the mountain right here. You've got two big mountains, over 13,000ft. 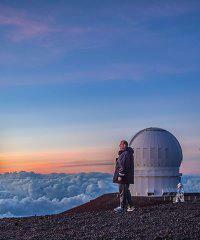 Mauna Kea is the tallest and it is where we have the observatories that view the heavens. It's one of the major, major areas on the planet that we do celestial viewing on these giant telescopes. 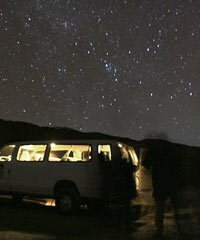 The reason is that it's got 325 or sometimes days out of the year that it's fantastic for viewing the stars. Typically, what'll happen, actually let's get back to this, you can actually see it on this photo. Here's some observatories up on the top, and they're actually above the clouds. You can see that, the clouds have a ring below. This is very, very typical. You go through a ring of clouds and then the top pops up at 13,000ft, it just goes higher than the clouds, and then from there you've got this big view of the heavens. We have tours that'll actually take you up to see these. You'll get up there at sunset time, and maybe get there in time to view some of these maybe turning and opening, and then these tours will descend, go back down to maybe 9,000ft or so, and they have portable telescopes, reflector scopes that they're carrying with them, and they set them up. You have a little dinner and then they actually focus on the heavens and you see all these celestial bodies that you've only seen in pictures that come to life in the real for you right there with people that are really trained in astronomy and can tell you all about what you're seeing. Very, very cool. Very different. Unique is the right word I think for this tour. 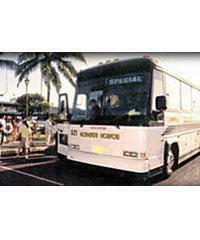 This is just one of the many tours that are available for your sightseeing on the Big Island.